1622543866 -The 2018 ICD-10-PCS Expert is our new spiral bound version of ICD-10-PCS with snap tabs to allow faster referencing of procedural terms in the index and sections in the tabular. It contains the complete ICD-10-PCS code set and all of the supplementary appendixes required for reporting of inpatient procedures. In addition you will find the familiar Optum360 coding and reimbursement alerts you have come to rely upon including the Medicare Code Edits (MCE) and ICD-10 MS-DRG edits. Intuitively organized into 17 sections of code tables with supplementary definitions tables and device and body part keys, the Optum360 ICD-10-PCS code book sets the standard for coding accuracy which is the cornerstone of health care analytics and revenue cycle management. New Optum360 Edge Spiral bound. Spiral binding allows the book to lay flat for ease of use and provide faster access to index and tabular sections. Optum360 Edge Intuitive features and format. Ease into the new classification system using these handy code tables to build the code through character value selections that reflect the procedure performed. Now with body part definitions included in the root operation tables for the Medical/Surgical section. Optum360 Edge Color-coding and symbols for the Medicare Code Edits. 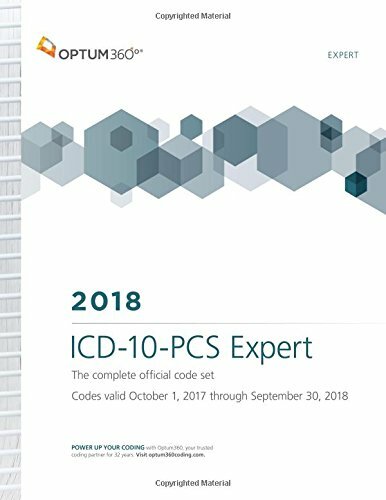 This edition includes all our hallmark color-coding and symbols for the most comprehensive coverage of ICD-10 MS-DRG MCEs for procedures including: non-covered procedures, limited coverage procedures, combination only procedures, non-operating room procedures affecting MS-DRG assignment, non-operating room procedures NOT affecting MS-DRG assignment, hospital acquired condition (HAC) related procedures. Optum360 Edge Illustrations. Illustrations of body parts with body part values accompany the Character Meaning Tables in the Medical/Surgical section. Optum360 Edge Procedure combination tables. Identify ICD-10-PCS code combination requirements needed to satisfy certain MS-DRG requirements.